S.K. Pierce Mansion was owned by the wealthy Sylvester Knowlton Pierce, founder of the SK Pierce & Son Chair Company. 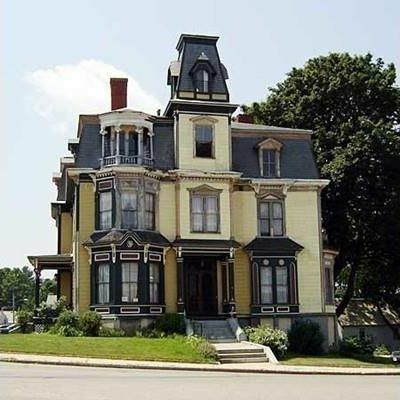 It was built in 1875 and was originally located at 21 Union Street, but was moved to where it now stands shortly thereafter. The home had some famous guests, such as P.T. Barnum, Norman Rockwell, Bette Davis and President Calvin Coolidge. Several ghosts are said to haunt the mansion, including S.K. Pierce’s first wife Susan, who passed away of an illness only 3 weeks after moving in. A nanny named Mattie Cornwall who loved the mansion and S.K. 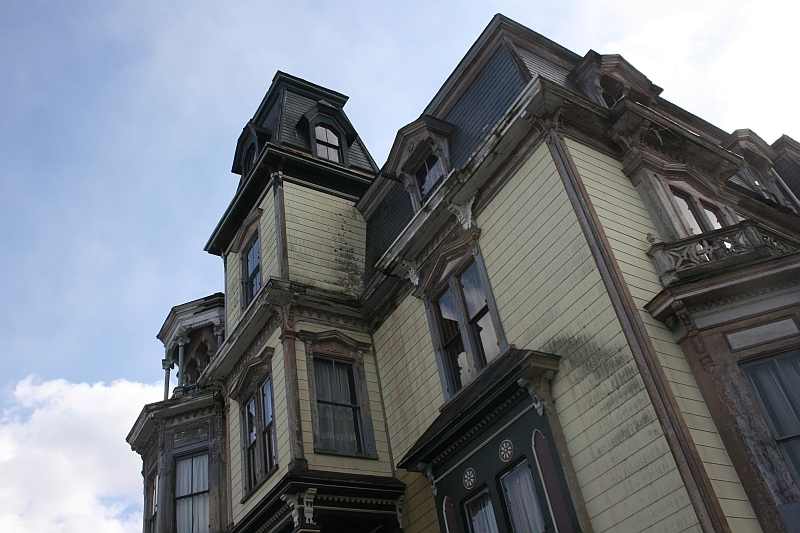 Pierce is also said to haunt the mansion, as are other members of the Pierce family. When the house was later turned into a brothel, a murdered prostitute was added to its ghostly roster, and a young boy, believed to have drowned somewhere on the premises, appears in mirrors and has been heard throughout the house. Another interesting note: A boarder named Eino Saari is rumored to have died here of spontaneous combustion in 1963. I would very much like to go to that house and stay there to see what all the haunted times are about. It would make a good story as part of my book I am writing, as well as studying shadow people. Ghost and shadow people are two different things. While ghosts are the lost spirits of the dead shadow people are figures you see at moments of high emotion often at night and represent that feeling or something to cause that feeling. Is this house still for sell? If so,how much? Not for sale? A company out of New Jersey bought and plans to make it a bed & breakfast/Toutist trap. I have lined in the area 54 years(20 of them four houses down the road, and can honestly say I have never seen anything strange. That being said, I have never actually been inside(although I would live to spend the night sometime!!!!!! Knowing its haunted…you got much bigger balls than the rest of us. 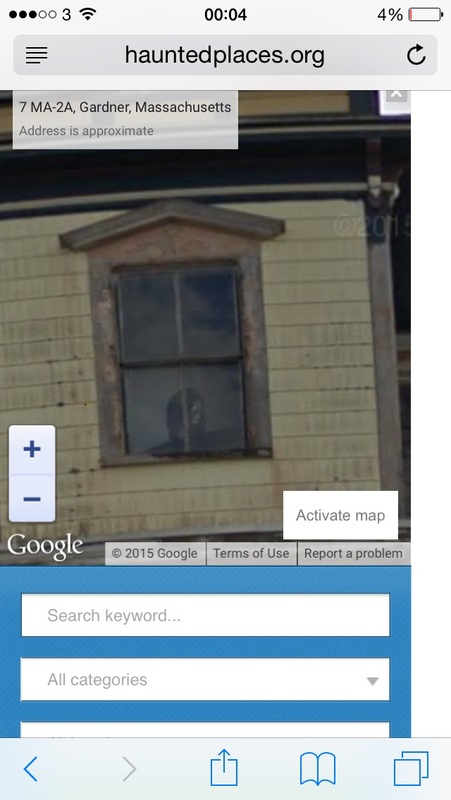 If you look at the map photo of the house real close you can see an image of someone in the middle window second down from the top. Looks kinda creepy. I see it. Looks like a little girl. Supposedly a girl named Rachael died from influenza there. Notice the battery is at 4%. Lillians camera when she was taking pics as she was taking a walk through the home before the purchase. Her batteries were just purchased before arriving. She took a few pics and her battery died. i just saw on the news the house here has been sold to a company that will rent it out to people to stay a night in there with the ghosts and spirits. the house origianlly sold a few years ago to a couple from boston that left, due to the ghosts. ghost adventures and ghost hunters have done studies there. they paid 90,000 for it, i saw it listed for 390,000. the house itself needs a lot of work. needs exterior paint as it is all falling off, and hundreds of pigeons live on top of the house on the roof, so you can imagine what that looks like on top. i hope the new owners know what they are doing and do not ruin the history of the house by renting to people that may be joy seakers and possibley destroy things. i live near this house that is why i know all this. I too would love to someday tour that old mansion. Or any other haunted mansion! I live by this house and I might go on a tour pretty soon. My mom and grandma wants to take me.